Casino-Mate has entered the room, complete with thongs and sunnies. Yes, that’s right: this Australian themed online casino is here to stay, and they’ve bought with them a huge range of casino games to keep you playing. 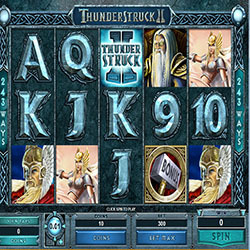 Of course, slot games may now be pokies, but they’re all the same great Microgaming games. Oh yeah, did we mention that? Casino-Mate have Microgaming on board, so you can expect to find their ranges of exceptional slots, progressives, table games and video poker machines. What’s more, you can enjoy these games on the beach with a barbie, a beer, and your surfboard ready to hit the waves. You see, this online casino likes to do things the Aussie way. As such, you get a cool freeplay of $1,400 to try out the games offered by amazing online Casino-Mate! With their support split into many different languages – and a dedicated toll free telephone line for each – Casino-Mate take their customers seriously. There is around the clock support via email and live chat, too. The Casino-Mate website is well made, and their client is smooth, but it’s the Microgaming based software that really stands out. Everyone knows to expect quality from the renowned developer by now, and they do not disappoint with a smooth casino experience across all the games. At Casino-Mate there are a range of different blackjack games available. From your common casino blackjack through to Atlantic City Multi-hand, there are great blackjack games available in this online casino, and all are available through the safe and secure client. There are also a huge number of pokies – slot games, remember – available at Casino-Mate, with classics such as Tomb Raider to keep you company. There are also a huge range of other table games, progressive jackpot slots, and video poker games, so you can switch around at will if you ever find your mind wandering. 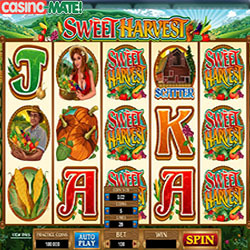 Casino-Mate want to give you an Aussie welcome, and they do so with a cool hour long, $1,400 freeplay! This includes 100% Max. $/€/£100 first deposit, 200% Max. $/€/£50 2nd deposit, 25% Max. $/€/£500 3rd deposit, and 50% Max. 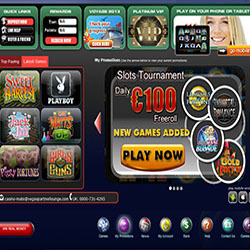 $/€/£750 4th deposit bonuses. That’s right: you can try out all the casino games before depositing a single cent, and you might even win something!